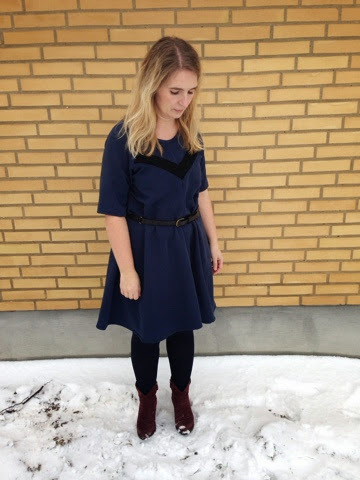 This is the Clover dress by Papercut Patterns and I like it! Yes this is me liking a garment. It's a versatile dress easy to tone up or down depending on shoes (always shoes!) and lipstick. A bonus about this little number is, that it's really comfy - nothing worse than a too tight dress right? 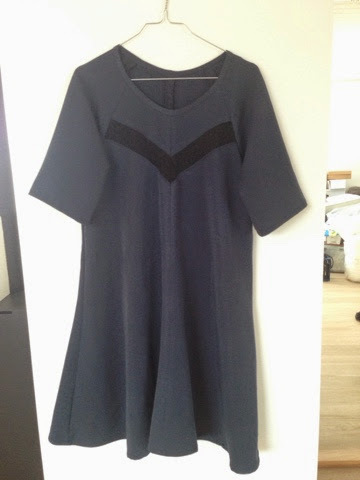 I made this dress without worrying about making a muslin. It's really loosefitting and it's got raglansleeves - nothing to worry about. The only thing tricky about this dress is the "V" in the front. I first had a vision of a delicate lace insert - but after trying it on, I decided the world would be a better place without me showing "my girls" at the dinnertable.. Perhaps tall girls don't have this problem? To solve this little issue I simply added a piece of black voile on the backside of the lace so it isn't see-through anymore. I lost the effect I was after, but I'm still quite pleased about this dress. 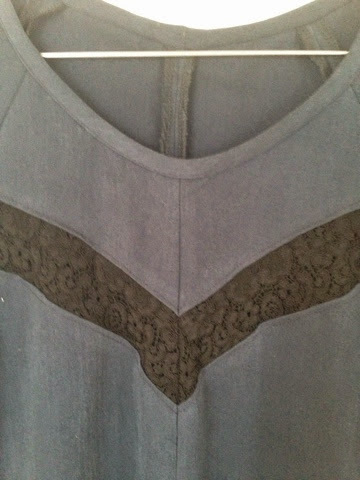 I used a sandwashed viscose from Stof og Stil for this dress. It's nice and soft to touch but not delicate like silk. You can wear this to a party without worrying about drops of wine on your dress as it can be washed in the washingmachine. I like. The shape of the dress is a bit sack-like and it does come with the obtion of making a fabric belt. I just used a regular leather belt I had in my closet. Here you can see the lace close up. 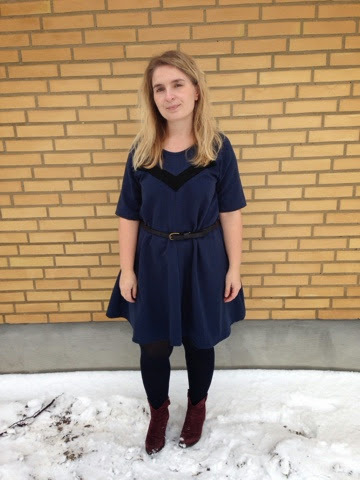 I think this might be the last winterdress from me this year. In spite of the snow in my garden I'm stubbornly hoping for spring very soon! How about you - have you started sewing for a warmer season?